The mythos is clearly penetrating my subconscious because the other night I woke up with a single, clear thought — so clear, in fact, that I had to write it down immediately. My insight? The city of Matera, Italy is a real world version of the vertiginous, stacked city of Italian odyssey last year. 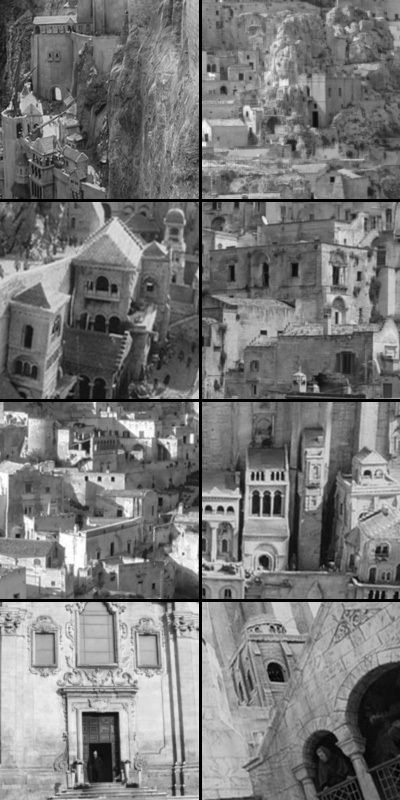 I imagine the two cities all but indistinguishable from street-level, but can you tell which of these is Matera and which Minas Tirith? The fictional city was filmed from a very large model. Interestingly, there seems to be a at least a few complete miniatures of Matera.